Two years ago my dad sold his house and gifted me £100,000 to buy a bigger house for him to live with us. He also has savings of £50,000. He has dementia and is slowly getting worse, so I’m planning for the future. He may need to be placed into a nursing home eventually, but what would happen about paying for his care? Would the local authority make me sell my house to pay for his care even though his money for my house was a gift? His name is not on the deeds or mortgage. Or would they just use the £50,000 savings? Tanya Jefferies, of This is Money, replies: The Government is pondering a big shake-up of care funding for the elderly, so who pays and how the system is organised could change significantly in coming years. But for now, the current regime where someone's assets - including the family home - is depleted down to £23,250 if they need to go into a care home remains in place. We asked a care expert from a leading charity for the elderly to explain where you stand regarding your home, given it was purchased with the help of a substantial gift from your father who now lives with you. Joel Lewis, policy officer for health and care at Age UK, replies: The local authority could not 'make' you sell your house, but if it thinks your father deliberately gave away assets to avoid paying for his care, it could claim costs from you. If you found yourself unable to raise the money to meet these costs any other way, then you might have to consider selling your house. However, it sounds as though this would be a last resort scenario for you, so presumably you would look to other sources of funding first to pay such a bill, should you receive one. How do councils decide who pays for care? Financial assessments for social care are made of the person needing care and normally, with the property being in your name, would mean that the council could not include it in their assessment of your father’s assets. Your father would be liable to pay for his care fees as his £50,000 savings take him over the £23,250 upper means test threshold for state-funded care. If he continues needing care, once his savings have gone below £23,250, then the council would have to start part-funding his care. 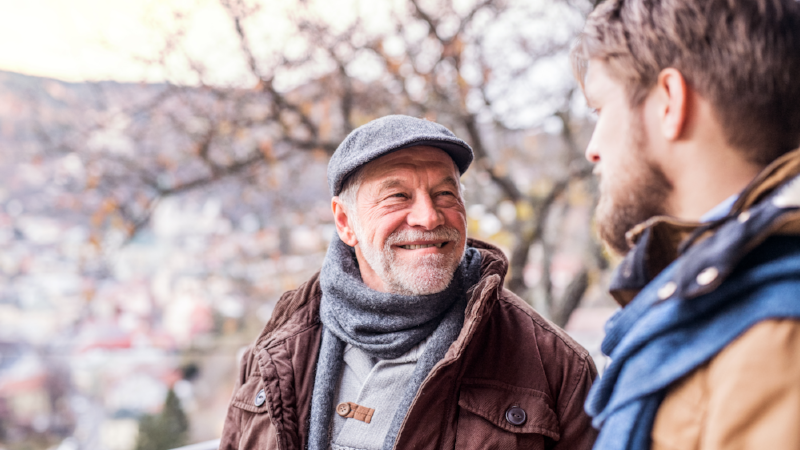 However, the local authority may want to examine whether the money your father gifted you was a way of avoiding care fees, in what is known as a ‘deprivation of assets’. Deliberate deprivation of assets is when the local authority deems that a person has actively disposed of assets to increase eligibility for local authority funding. When the local authority carries out a financial assessment for residential care they will ask about previously-owned assets, not just those that are owned currently. When deciding whether there has been a deliberate deprivation, councils will take into account the point at which the disposal occurred, your father’s health and care needs at the time (whether he had been diagnosed with dementia), whether he was known to social services and what was the reasonable expectation that he would need care in the future. Due to the dementia diagnosis, they may consider his level of mental capacity and whether a family member has power of attorney over his finances. Ultimately, what it boils down to is intention and the motivation of gifting the asset. It is also important to remember that there is no ‘safe cut-off point’, as there is with the seven-year rule for inheritance tax, and the local authority can look back as far as it likes. What if the council decides there was deliberate deprivation of assets? If the local authority believes the asset was given away to ensure it was not included in a care means test, it may decide that you have ‘notional capital’ of equivalent value to that of the gift. This means its value can still be taken into account in the financial assessment, even if your father no longer owns the asset involved. It is also possible that if the local authority funds someone’s residential care costs and later rules that a person has ‘deliberately deprived’ themselves of assets, they have the power to claim care costs from the person that the assets were transferred to. This might not be the full £100,000 that your father gave you for your house. What the local authority might do is add this sum to the £50,000 he has in savings, and work out what contribution he needs to make to his care from that starting point instead. But the council may also take into consideration the level of care you provide to your father in the home you share with him if they seek to recover costs. Can you fight such a decision? The council’s decision must be reasonable and there is a complaints procedure for those that wish to appeal a decision who should contact their local authority. You may also want to seek legal advice. Age UK has produced a factsheet on deprivation of assets which you can find here. This article was written by Tanya Jeffires from This is Money (Daily Mail) and was legally licensed through the NewsCred publisher network. Please direct all licensing questions to legal@newscred.com.